I have to say, I’m struggling to find a Springbank expression (official or independent) that I don’t like. Always loads of solid coastal smoke notes without being overly maritime or medicinal plus a few unusual hints of other things for good measure. Nose: Leathery and damp with coastal salt and rocks aplenty. Dry moss, nettles, salty lime skin (possibly with tequila?). A soothing waft of warm butter with dry wood smoke. Palate: Oily, malty, and salty with sweet dark honey and spicy smoke rising. Mulled spices and chilli peppers. Big Red cinnamon chewing gum. Finish: Spiced Maple syrup and black pepper. Another winner for my money, and excellent value to boot. All the oily coastal smoke but with plenty of other notes giving it depth and interest. 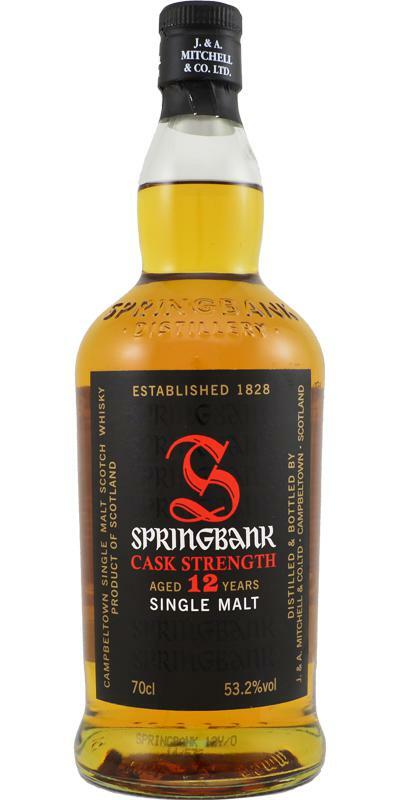 This year’s Springbank 12 Cask Strength is available on Abbey Whisky for £45.50 – bargain!